Anxiety has gripped the reigning champions APR as preparations are in full gear to face off Zambia’s Zanaco in their second leg of CAF Champions League tomorrow at Amahoro National Stadium. It will be a ‘do or die’ with a home advantage for coach Jimmy Mulisa his team having finished goalless in the first leg away in Lusaka. Mulisa is much aware that a victory is the only option if his team is to proceed to the next round since a barren draw will mean walking on mere luck to a penalty shootout. “The other option is to be more daring in attacks so that we can score goals, a reason why our training sessions have been more focused on attacking drills. Zanaco FC is a strong opponent, they have good and experienced players.” “So we need to attack, we have to move the ball very quickly that is the only way we can exhaust and breakdown the opponent,” Mulisa the legendary APR striker said. Mulisa challenges his side to be more daring in the face of ultra-defense. His Zambian counterpart, Mumamba Numba and the bankers arrived in Kigali on Thursday and Numba says a draw will work for him. “We’re away from home, that gives APR a home advantage but our chances are 50-50 and I believe we have an upper hand since this a barren draw. It give us an upper hand, a draw game will be decent enough for us as visitors.” Coach Numba told Taarifa Sport earlier today. The winner of the tie on aggregate will face the winner between Tanzanian side Yanga Africans and Comoros outfit Ngaya de Mde on the weekends of March 11-13 and 17-19. 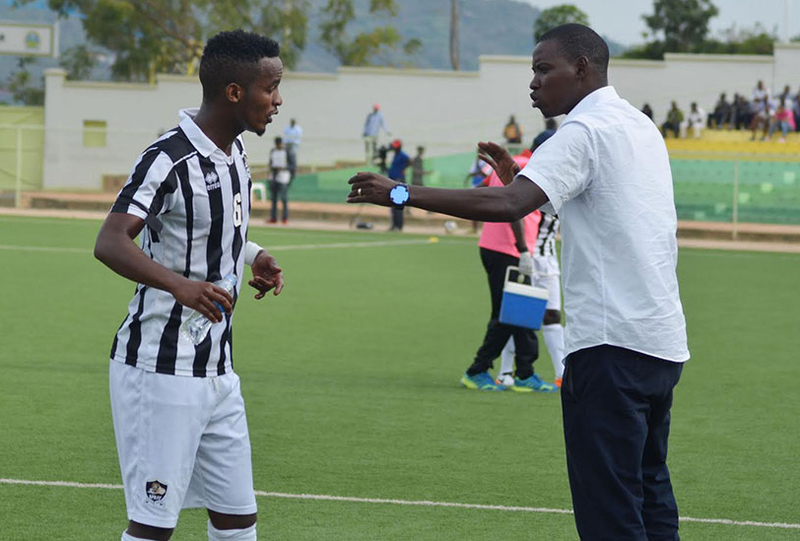 Emery Mvuyekure, Michel Rusheshangoga, Emmanuel Imanishimwe, Aimable Nsabimana, Hervé Rugwiro, Yannick Mukunzi, Amran Nshimiyimana, Fiston Nkinzingabo, Djihad Bizimana, Issa Bigirimana, Patrick, Yves Kimenyi, Albert Ngabo, Faustin Usengimana, Janvier Benedata, Innocent Nshuti, Maxime Sekamana and Onesme Twizerimana. Racha Kola, Mangani Banda, Toaster Nsabata, Ziyo Tembo,Peter Banda, George Chilufya, Fackson Kapumbu, Lee Ngoma, Andrew Kwiliko, Taonga Bwembya, Saith Sakala, Charles Zulu, Ernest Mbewe, Richard Kasonde, Boyd Musonda, Augustine Mulenga, Fashion Sakala, Aubrey Funga, Kwame Attram and Kennedy Musonda.